You could try a “due-diligence” solution and download the plan brochures for the two to three dozen plans available almost anywhere in the nation in 2019, turning to the section on “Changes for 2019,” and read a mind-numbing list of changes in dozens of benefits you will never use. You could ask your office-mate in the cubicle down the hall what he or she has figured out is a good buy next year, and get either a curse or a shrug or, worse yet, advice based on his or her bad choice. Worse yet, if that is possible, did you know that there is a major new plan you’ve never heard of available in 2019, and big changes in other plans, that make for many changes in the short list of most sensible choices? But what can you do, stuck between unappealing and foolish choices? Well, you can read this column and use it to steer you towards a short list of better plans to eliminate most of the time you would waste searching among all available plans in your area. Every year Washington Consumers’ CHECKBOOK staff read the brochures for over 250 FEHB plans, and enter premium, coverage, and cost information into elaborate computer programs that calculate likely cost under each plan. These programs use actuarial data on the risk of health care costs of varying amounts based on age, family size, health status, and other factors. They produce estimates of health care costs—enrollee share of premium plus out of pocket costs—for a good, bad, or average year if a family like yours were enrolled in each of those plans. The resulting estimates are complex and the answers as to which plans are better buys cover a wide range of circumstances that cannot be easily summarized in a short article. For example, the specific answers and specific savings amounts are not the same for young couples, empty nesters, annuitants without Medicare, annuitants with Medicare Part A only, and annuitants with both Parts A and B. There are, however, some commonalities. 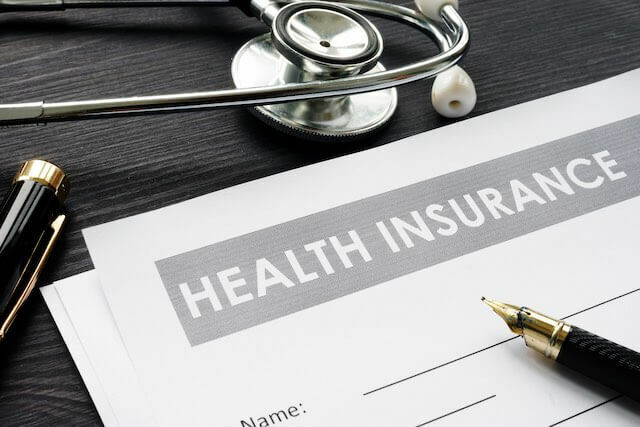 First and foremost, no matter what employee category or situation you are in, there are differences among likely plan costs that are vary by two or three thousand dollars when the lowest cost plans are compared to the highest cost plans. For example, CHECKBOOK’s Guide to Health Plans for Federal Employees estimates that costs for an annuitant couple without Medicare Parts A or B will be $8,000 or more next year in the 10 highest cost self-plus-one plans in the DC area next year. What will that same couple spend in the lowest cost plans? There are 7 plans that will cost on average under $6,000 next year and another 3 that are below $6,500. So, 10 lower cost plans will likely save enrollees on average at least $1,500 to $2,000 (or lots more) next year than the 10 highest cost plans! These or similar results apply almost everywhere in the United States. Comparable differences exist for every other family size, age, pay system, retirement status, or Medicare status. Of course, these are overall differences and if you need a particular benefit found only in one or two plans in the high cost group, you may think you have no good cost-saving choices. But even in that case you may find that the health savings account provided by many plans will make that care affordable. How to Get Big Savings? We recommend starting with about a dozen plan names in your “possible buys” shopping list. With or without Medicare, and whether employee or annuitant, in the D.C. area it is hard to beat CareFirst HDHP, Kaiser Basic or Standard, UnitedHealthcare Choice Plus, CareFirst Standard, or Aetna Open Access Basic among local area plans. Nationally it is hard to beat GEHA, NALC, APWU, and MHBP High Deductible plans, Aetna Direct and APWU CDHP plans, GEHA Standard, Blue Cross Basic, NALC High, or MHBP Standard. If you are eligible, Foreign Service and Rural Carrier are good buys. But consider also the new kid on the block! Blue Cross FEP Blue Focus is available nation-wide and belongs in the top dozen in every employee or annuitant category. It reaches this elite group for both young families and annuitants with Medicare Parts A and B. If you are already in any of these plans, you are not throwing away as much money as most federal employees and annuitants. But there is more to save. You can narrow your choices down farther to keep your shopping experience sane and sensible. Some of these plans really stand out for particular groups. Every High Deductible plan is a great buy for employees at any age who don’t have huge fixed annual doctor or drug expenses. The Health Savings Accounts (HSAs) these plans offer are like IRAs on steroids: money in your personally owned account goes in tax free, grows tax free, comes out tax free if spent on health care, and stays with you the rest of your life regardless of what plan changes you make. These plans have good overview explanations of how they work at the beginning of brochure Section 5. If you are a saver who maxes out thrift plan contribution, focus on the thousands of dollars more you can add tax free to your HSA account. CareFirst HDHP (a D.C. area Blue Cross Plan), Kaiser Basic and Standard (also D.C. area), MHBP HDHP, Aetna Direct, and Blue Cross Basic and FEP Blue Focus really stand out for annuitants with Medicare Parts A and B. If you haven’t been paying attention, you may not know that all of these plans offer a Medicare wraparound, with no deductible or other cost-sharing for hospitals or doctors. The HDHP plans give you a sizeable savings account to help with drug copays or dental. And new last year, buried in the small print of its brochure, Blue Cross Basic (but not Standard) offers a $600 per person Part B rebate for these annuitants. If you are a couple currently in Blue Cross Standard, why aren’t you moving to FEP Blue Focus, or Blue Cross Basic, for a cost saving of $3,000 or more next year? Are you an HMO fan or one who wouldn’t consider an HMO? If you are in either group, that could simplify your shopping list. But don’t forget that even in an HMO you can go out of network and pay only 20% coinsurance if you have Medicare Part B. Call your doctors’ offices to see which plan networks they will be in next year. Don’t just go online because your doctor may be planning to leave the network of plan X. But don’t necessarily reject a plan because your doctor is not in the network (or maybe not in any plan network). There is an option for you no matter what—paying in cash! Why spend extra thousands in premium rather than pulling out your wallet or checkbook to pay a few hundred dollars? And have you taken out a Flexible Spending Account to get what amounts to a one-third discount on whatever you spend out-of-pocket? Do some research. Ask a specialist in your disease what plans cover your situation best. Ask your drug store or check plan formularies to see which ones put your expensive medicine in a “preferred” formulary category. If you plan on having a baby, or use a particular psychiatrist, ask your obstetrician or psychiatrist which plans pay best. Do not forget that you need continuous coverage under the FEHB (by you or your spouse) for five years before you retire, or you will lose coverage forever. Do not forget that if you do not cover your spouse, and die, he or she will lose coverage forever. Remember that there is a huge tax advantage called “Premium Conversion” available only to employees (not annuitants) and that a couple who are both federal employees should make sure that the first to retire is not the one paying the plan premium during the time before the second retires. Whatever method you use to narrow it down, you should look at three or four plans for next year, focusing not only on overall cost but also on how well they serve your family’s health needs. For example, if you have high drug expenses, make sure they have good name brand drug benefits. You can read about each plan’s strong points, check the plan’s drug formulary, and download its brochure. Do not print plan brochures—keep them as PDF files. These are hundred-page documents with lots of small print. You are not going to read every page, let alone study them. What to do? It is simple. Every brochure has a page (Section 2) describing how its benefits will change for next year. Mouse to that page to see if any of those changes will help or hurt your family. This page does NOT cover non-FEHB benefits or Medicare wraparound changes. At this point you should be nearing a decision. Don’t procrastinate further. Breathe a sigh of relief if you are already in one of the top plans and like everything about its benefits and network, or bite the bullet and change plans if you have thousands of dollars to save. (Another hint: whatever plan you choose, a two-person family should check to see which premium is lower: self-plus-one or family. You may be surprised.) Make your health plan change now. After, and only after, you have made your health plan decision, focus on your other Open Season choices. For most people, these include whether or not to join a FEDVIP dental or vision plan, and whether or not (and if so in what amount) to sign up for a Flexible Spending Account. To change health plans, employees can use an agency resource or in many cases www.employeeexpress.gov. Annuitants should use the OPM web site at https://retireefehb.opm.gov. OPM also offers retiree help at 800-332-9798, but that number sometimes puts callers on hold for long waits, especially near the end of Open Season. Walton Francis is a health insurance expert and a member of the National Academy of Social Insurance. He is the principal author of CHECKBOOK’s Guide to Health Plans for Federal Employees. Individuals can subscribe to the online version for $10.95 and also see a listing of the many agencies that provide free Guide access to their employees at www.guidetohealthplans.org. © 2019 Walton Francis. All rights reserved. This article may not be reproduced without express written consent from Walton Francis.